Chester P. McNally married Bessie Houghton, daughter of John William Houghton and Ellen (? ), in circa 1923 age 33 and 32. Bessie M. Drake married Ralph Wesley Houghton, son of John Wesley Houghton and Rilla E. Nichols, in circa 1921 he age 22. Eleanor Alice Houghton married (?) O'Grady. Janet E. Houghton married (?) Sommerville. Santa M. Winters married Warren Barton Houghton, son of Benjamin Houghton and Eliza W. Forbes, in circa 1899 age 27 and 25. Dorothy Irene (?) married Benjamin Frederick Houghton, son of George W. Houghton and Helena A. (? ), in circa 1918 age 19 and 17. 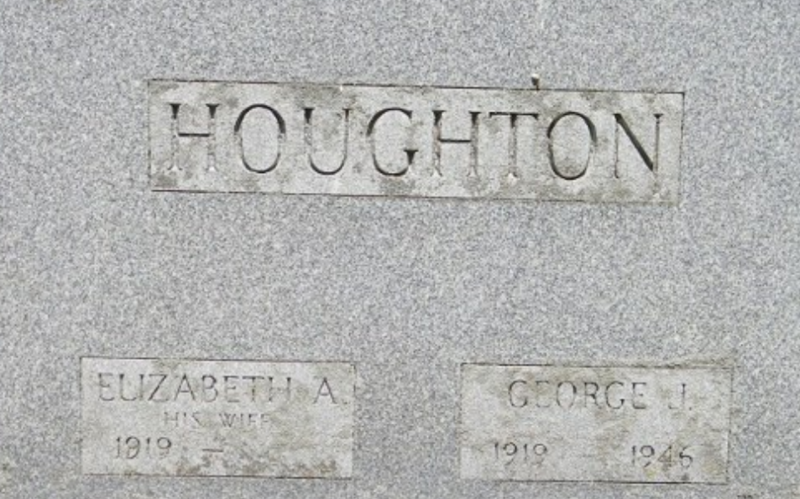 Laura Gertrude Coulson married Leroy Lewis Houghton, son of John Wesley Houghton and Rilla E. Nichols, in Nov 15, 1916 at Cayuga Co., NY, USA, age 21 and 22. Barbara Helen Houghton married Frank Bowman. Lewis Ezra Houghton married Florence C. Sherman in circa 1904 age 24 and 20. Florence C. Sherman married Lewis Ezra Houghton, son of Benjamin Houghton and Eliza W. Forbes, in circa 1904 age 24 and 20. Olie I. (?) married Franklin Benjamin Houghton, son of Benjamin Houghton and Eliza W. Forbes, in circa 1900 age 25 and 21. 1930 Census 1930 Scipio, Cayuga Co., NY, USA, age 22, accountant for Eagle Corp.
Barbara A. Steigerwald married Carlton F. Houghton, son of Franklin Benjamin Houghton and Olie I. (? ), in Apr 6, 1929 age 21 and 23. Chalmer Nichols Houghton married Cornelia A. (?) in circa 1927 age 34 and 31. Cornelia A. (?) married Chalmer Nichols Houghton, son of John Wesley Houghton and Rilla E. Nichols, in circa 1927 age 34 and 31. Joseph Albert Houghton married Jennie (?) in circa 1898 age 24 and 18; mar 13 y in 1910 census, her second mar. Jennie (?) married Joseph Albert Houghton in circa 1898 age 24 and 18; mar 13 y in 1910 census, her second mar. 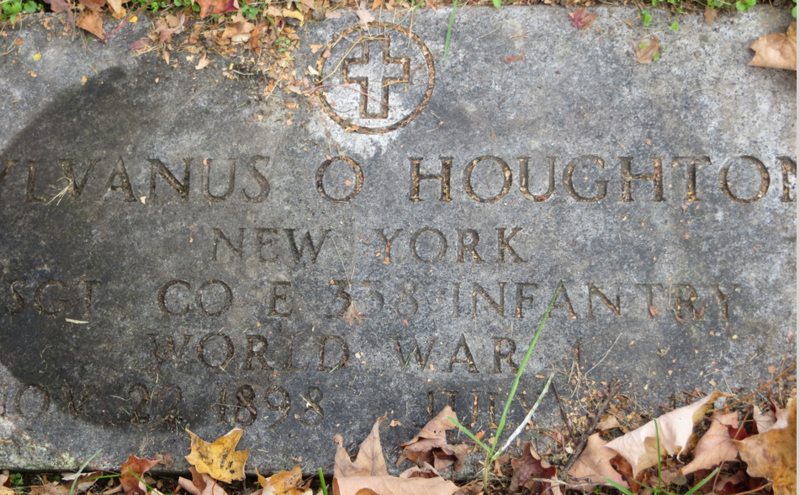 Sylvanus Otis Houghton married Hyacinthe Laine in Aug 12, 1922 at Almira, NY, USA, age 24 and 22. Sylvanus Otis Houghton and Hyacinthe Laine were divorced before 1938. Sylvanus Otis Houghton married Ruby Nellie Chamberlain. Hyacinthe Laine married Sylvanus Otis Houghton, son of Alexander Houghton and Delphine Swartout, in Aug 12, 1922 at Almira, NY, USA, age 24 and 22. Hyacinthe Laine and Sylvanus Otis Houghton were divorced before 1938. Hyacinthe Laine married Earl Simons in 1938.